Ducts are one of the indispensable commodities in modern homes which are fitted with HVACs to enjoy conditioned air throughout the year. These are conduits that snake throughout the house delivering air from room to room. But ducts can become immensely infested with dirt, dust, and debris. To top it all, if there is leakage in the duct through which moisture is trickling in, the ducts can becomes a fertile hub of mold growth. All these can gradually find their way into your room and compromise the quality of your indoor air. Can duct cleaning be a DIY project? Yes, it can. You can open you vents and access the ducts to some extent and clean it with a vacuum cleaner. But it will not be possible for you to reach the remote areas. Moreover if there is microbial growth in your duct professional intervention should be sought. In such cases special treatments are needed to remove it. Although you can clean your ducts and keep it maintained, get it cleaned professionally in every two to three years. A professional duct cleaning would include cleaning of various heating and cooling system components of forced air systems, including the supply and return air ducts and registers, grilles and diffuses, heat exchanges heating and cooling coils, condensate drain pans (drip pans), fan motor and fan housing, and the air handling unit housing, Remember, all the components should be spruced thoroughly, a little spec of duct here and there would lead to re-contamination of the ducts very soon. 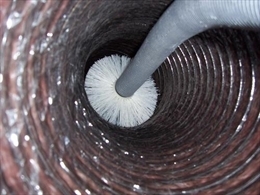 Industry associations concerned with air duct cleaning have also laid out specific standards that should be followed by professionals for cleaning ducts in residences. All cleaners use specialized tools to remove dirt and other debris in ducts and then vacuum them out with a high-powered vacuum cleaner. If there is microbial growth in the ducts they may use special biocides to terminate them. What can be the consequences of uncleaned ducts? Uncleaned ducts can lead to puffs of dust finding their way in the rooms. Mold spores can breed in your living space. These may cause allergies or respiratory problems in people living in the house. Some of the common ailments that can result from uncleaned ducts are asthma, sinus, breathing troubles, respiratory inflammation, and allergies. Sometimes ducts are used as ways by vermin and rodents to find their way into your house. The ducts get infested with their urine and droppings. In such cases the ducts must be cleaned as soon as possible. There are a long list of diseases that can by caused rodent and vermin. They are Hantavirus Pulmonary Syndrome, Hemorrhagic Fever, Chorio-meningitis, Plagues etc. When cleaning the ducts in such cases, the urine trail should be removed absolutely. Otherwise they will soon trace and contaminate it. Should biocides be sprayed in ducts? If there is mold growth, the duct cleaner would recommend applying biocides to kill microbiological contaminants. These can be sprayed inside the ducts as well as other components that seem to be affected with molds. Some of the professionals may suggest using sealants or other encapsulates to encapsulate or cover the inside surfaces of the air ducts and equipment housings because they believe it will control mold growth or prevent the release of dirt particles or fibers from ducts. However safety of using these elements is not known yet. Do proper research before using these. Also know if there is really a mold growth inside your ducts. All patches of black are not necessarily molds. You have to send a portion of the black on a sticky tape to a microbiological laboratory to know if mold has been growing in your ducts. However, if you have to use biocides, ensure that the system has been properly cleaned of all visible dust or debris.